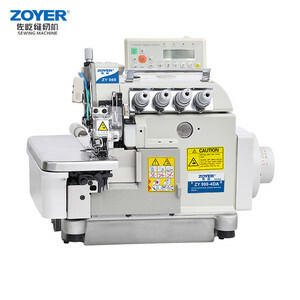 Taizhou Zoyer Sewing Machine Co., Ltd.
Taizhou Oemer Imp. & Exp. 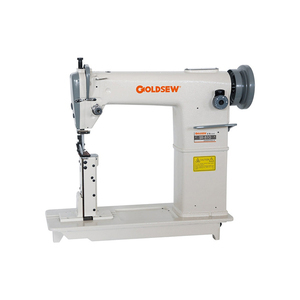 Co., Ltd.
Jinyun Goldsew Sewing Machine Co., Ltd.
Keestar 80700CD4HL non woven bag sewing machine industrial sewing equipment sewing equipment . 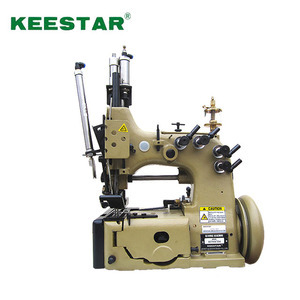 High quality products; Keestar 80700CD4HL Heavy duy FIBC bag sewing machine could replace Union Special 80700CD4HL Heavy duty FIBC bag sewing machine. Features: Double needle four thread chain stitch 401.401; Maximum sewing speed up to 1,400rpm; Maximum sewing capacity up to 18mm (45/64in. 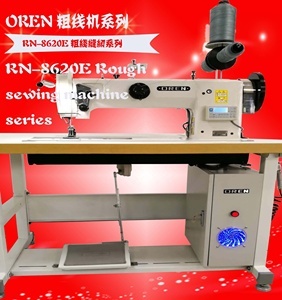 Guangzhou Oren Sewing Machine Co., Ltd.
Zhejiang Fanghua Sewing Machine Co., Ltd.
Guangdong Ding Hong Automation Technology Co., Ltd. If using reinforced belt, then auto folding can be done and folding width can be adjusted. Q3: What's your payment term9 A3: Normally we do 50% T/T in advance 100% balance before shipment. Q5: How long does your product warranty9 A5: Our product is guaranteed for one year. Our company is a leading company in producing Ultrasonic lace Sewing Machine,Ultrasonic stitching machine And ultrasonic plastic welding machine . our machinery can catch requirement of CE,We have our own design department for the Mold and machine which can do customized machines, We welcome any of your ideas. Our products good sold not only in domestics market,But also widely exported more than thirty Countries like south asia,east South asia,Africa,Europe And America Etc. 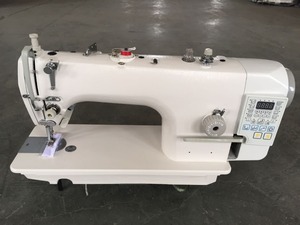 Xinchang Weilite Textile Machinery Co., Ltd.
WLT-212 Socks sewing machine equipment for sewing socks Socks factory sock toe closing machine 1.This type sock seaming machine Parts carved from high-performance aluminum alloy, light weight and good quality. 2. 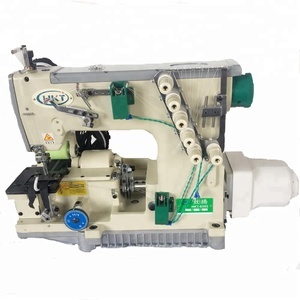 The sock seaming machine Head with oil-immersed rod drive mechanism, wearable, smooth operation, long service life 3.Dual-head sewing machine, the second sock closing machine head can rise and fall, solve the socks knitting exposed bottom line problems. 4.Computer-controlled sock sewing machine, touch screen operate sock sewing job 5. Special pre-automatic lifting conveyor for socks feeding 6.Through the program settings to change the socks sewing density of sewing thread 7.A foot switch to suspend structure, fault reset button, lift button nose, stop automatically when yarn breaks. 3. Selecting high abrasion resistance spare parts to ensure the stability and longer lifetime for the machines. 5. With automatic parking, automatic thread trimmer, automatic pine line, auto-dial line, automatic presser foot and other functions, easy operation. Regardless of how complex patterns can be a one-time perfect sewing, anyone skilled to operate the machines in a very short period of time. Jiangsu Southocean Industrial Co., Ltd.
Hello, welcome to Southocean, I am Emily, nice to meet you. 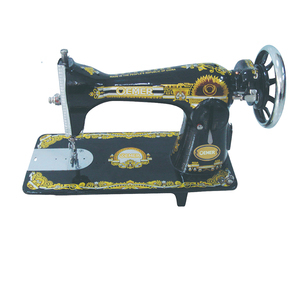 We have many kindly of sewing machines, I think you can find the machine you want. It can be used of sewing all kinds of textile materials of thin and medium materials. It &rsquo; s more easily to sewing high elastic material and crotch part. Accordin g to different material and use, change the specification and presser foot needle assemble. All our accessories and parts of sewing machine are produced by ourselves, we gained high reputation from clients. Guangdong Jin Yue Lai Automation Equipment Co., Ltd. Banner SD-9920 Double needle roller Industry sewing machine description: 1. The inner bearing is round or needle form with small friction. 3. It also has an overload clutch with simple operation, which greatly reduces the harm to the caldera. Packaging & Shipping SD-9920 Double needle roller Industry sewing machine detail: Payment item: 100% T/T, L/C. Hangzhou Altrasonic Technology Co., Ltd.
Changzhou Jiapu Mechanical Equipment Co., Ltd.
Q : How can we know the quality of your machine9 A : Customers can send material to us and then we use our machine to manufacture finished products which will be re-sent to customers. Q :How to buy your machine9 A :Please send me inquiry to our email, when we reach a agreement, we will sign a contract to confirm our order. 4. Having 20 years experience in this field, our machine are in great demand at home and abroad. Zhejiang Rosso Equipment Manufacturing Co., Ltd.
Tianjin Huatang Sewing Machine Manufacturing Co., Ltd.
factory sale Automatic ultrasonic seat belt cutter equipment Welcome OEM service Basic components 1. New type PC intellectual ultrasonic generator; 2. 20KHz ultrasonic transducer unit; 3. Bottom horn fixed suspension structure; 4. Single motor speed adjustment system; 5. Manual( or pneumatic) roller lifting system; Characteristics 1. 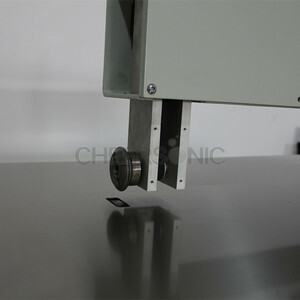 Built-in PC chips, multi-circuit ultrasonic protection system to make the machine run safely; 2. Strong ultrasonic power with three adjustable gears (maximum, medium and minimum), meets the welding requirements of different materials and thicknesses; 3. The performance of the machine reaches international level with automatic frequency tracking system and ultrasonic soft-starting technology; 4. Variety of roller patterns, other roller designs available according to customer requirements; 5. Four times faster than sewing machines, minimal operator training required. Functions 1. Trimming: Straight or curvilinear edge cutting and edge treatment for melting, so smooth, no rough edges; 2. Sealing: Two or more layers of fabric stitched together without thread replacing the sewing needles, good welding strength; 3. Hole making: Cut out the various patterns of holes, and treatment of side melting; 4. Slitting: Single or more cutting of the material at the same time, and treatment of side melting without burr; 5. Forming: Simultaneous cutting, sealing and embossing to make production in one time. Technical parameter Source power 220V&plusmn;5V or 110V avaliable Input power 1800-2500W Output frequency 20KHZ Working speed 0-20m/min Roller size Width: 0-100mm; Diameter: &Oslash;50-&Oslash;80mm Dimension(L*W*H) 1200*600*1200mm Net weight 100KG Suitable materials All kinds of artificial leather and fabric, nonwoven fabric, spun-bonded cotton, thermoplastic film, chemical plastic piece, etc. Changzhou Rufa Machinery Co., Ltd.
Seamless underwear heat press machine RF-102 eamless lingerie &brief folding,heat press taping also for sports wear or elastic fabric. Maintenance All machines must be placed indoor, and cannot be under high temperature working environment. ( Details refer to the instruction) Machine Repairing We can provide on-line service for machine repairing . Ultrasonic Lace Sewing Machine Basic components 1. New type PC intellectual ultrasonic generator; 2. 20KHz ultrasonic transducer unit; 3. Bottom mould fixed suspension structure; 4. Single-motor speed adjustment system; 5. Pneumatic roller lifting system. Functions 1. Trimming: Straight or curvilinear edge cutting and edge treatment for melting,so smooth, no rough edges; 2. Sealing: Two or more layers of fabric stitched together without thread replacing the sewing needles, good welding strength; 3. Hole making: Cut out the various patterns of holes, and treatment of side melting; 4. Slitting: Single or more cutting of the material at the same time, and treatment of side melting without burr; 5. Forming: Simultaneous cutting,sealing and embossing to make production in one time. Application: Apply to lace clothing, ribbon,trim,Filter, Lacing and quilting,decoration products, handkerchief, tablecloth, curtain, bedspread, pillowcase, quilt cover, tent, raincoat, disposable operating coat and hat, disposable mask, non-woven fabric bags and so on . Our Clients: Our Certificates: Pre-sale services: 1. Providing professional technical support. 3. If you have any questions, please contact us online or send us email, we promise we will response you at the first time! After-sale services: 1. We provide you with one year warranty and life long maintenance. Anhui Shake Plastic Machinery Equipment Co., Ltd. It has the special performance of preventing from deviation. 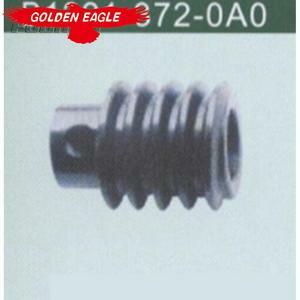 It is fit for the hot pressing adhesion to the clothing fabricsand hot-melt lining. After the adhesion,it appears to be stiff and smooth. Wholesale textile blade: [2013 Newest] industrial safety equipment LDH-R100 wholesale cutter blade/fabric cutter, textile blade: Item No. 2 "Top Ten Salable Brands in China". 3 "One of The Most Influential Well-Known Brands in China". Zhejiang Sibyer Sewing Machine Co., Ltd.
Shanghai Shishi Machinery Co., Ltd.
Alibaba.com offers 13,035 industrial sewing equipment products. About 53% of these are sewing machines, 1% are other machinery & industry equipment, and 1% are furniture making machines. 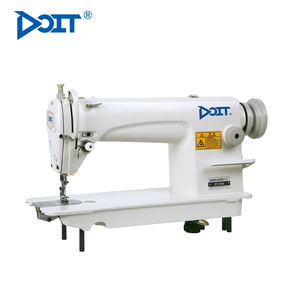 A wide variety of industrial sewing equipment options are available to you, such as industrial sewing machine, household sewing machine, and mini sewing machine. You can also choose from multiple, manual, and walking foot. As well as from lock stitch, overlock stitch, and chain stitch. And whether industrial sewing equipment is flat-bed, off-the-arm, or cylinder-bed. There are 13,037 industrial sewing equipment suppliers, mainly located in Asia. The top supplying countries are China (Mainland), United Kingdom, and Taiwan, which supply 99%, 1%, and 1% of industrial sewing equipment respectively. Industrial sewing equipment products are most popular in Southeast Asia, Africa, and Mid East. You can ensure product safety by selecting from certified suppliers, including 3,413 with ISO9001, 435 with Other, and 120 with ISO14001 certification.